Planning Your Vacation TO Costa Rica? Want to reconnect to their inner-selves in a sacred + supportive space. Appreciate being pampered with a decadent spa experience every now and then. Love the idea of taking a vacation off the beaten path and leaving their cell phones behind. Enjoy fresh, farm-to-table meals (and out-of-this-world desserts). 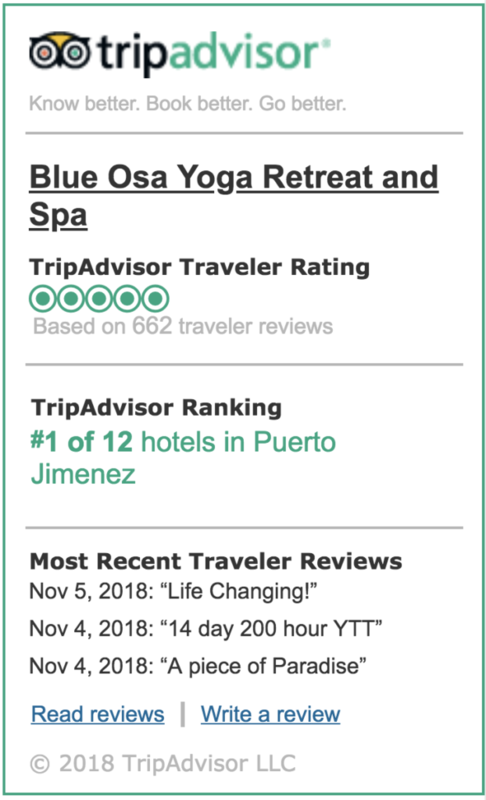 Are environmentally conscious, or at the very least curious, and appreciate our commitment to being a self-sustaining, eco-resort in one of the most biodiverse regions of Costa Rica and the world. Traveling with loved ones? Embarking on a solo adventure? Imagine having a vacation that is the best of both worlds! 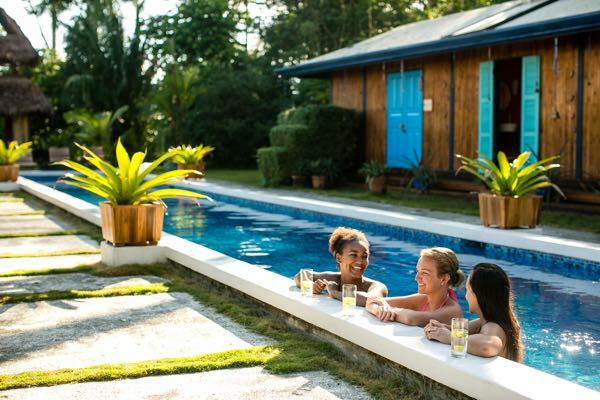 Enjoy clean gourmet farm-to-table cuisine experience AND a relaxing, tropical getaway. Costa Rica’s Osa Peninsula just may be the perfect beach getaway –– located close enough to the continental U.S to be convenient, yet far away enough to feel exotic. 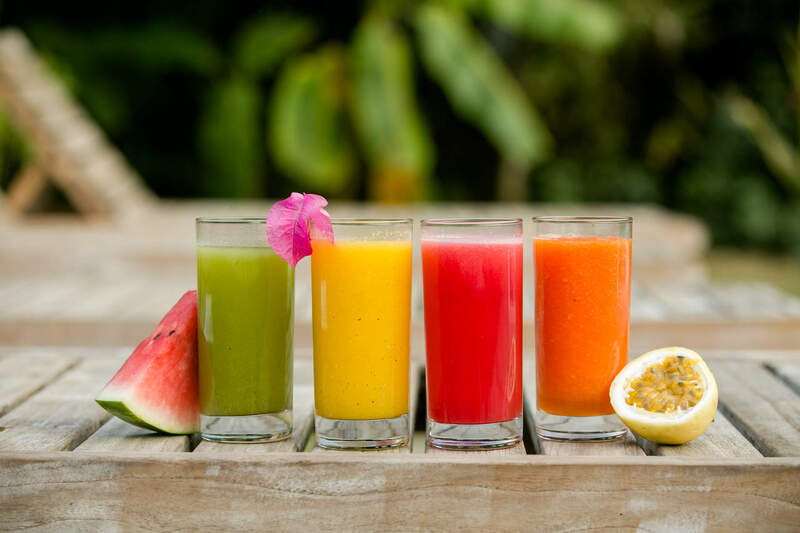 Meanwhile, we’ll supply the beachfront accommodations, the open-air yoga studio, friendly spa amenities and adventure excursions that will make you want to stay in Costa Rica forever. HAVE YOU ALWAYS WANTED TO BE A YOGA TEACHER? OR IMMERSE FOR ONE MONTH IN A YOGA PRACTICE? 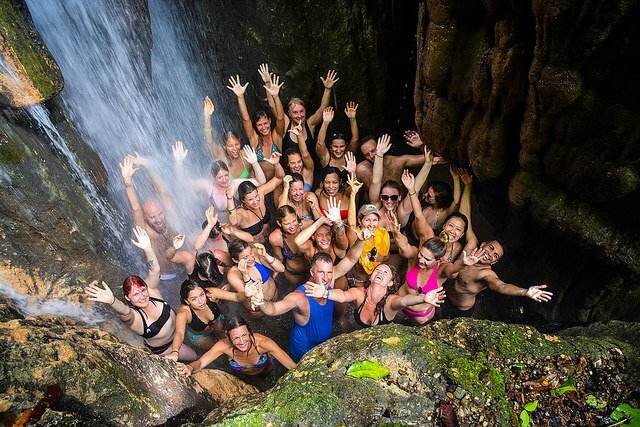 What if you could feel more connected to your purpose, nourish your body on all planes (physical, mental and spiritual) and learn a skill that would improve the lives of others –– all the while surrounded by the beauty of the Costa Rican jungle? 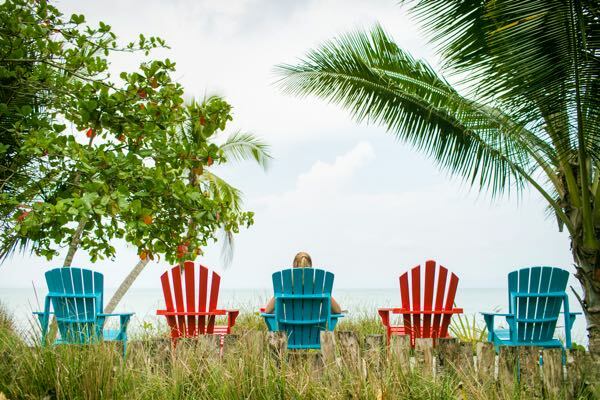 Enter Blue Osa Yoga Teacher Training: An intensive program designed to help you disconnect from the noise and reconnect with yourself in just 28 days. With plenty of hands-on teaching opportunities, and personalized instruction from an internationally renowned yoga teacher, this program will prepare you to teach with confidence. 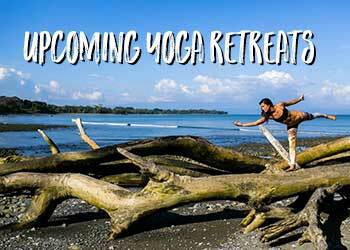 Immerse yourself for 28 days of yoga teacher training in Costa Rica, and change your life forever.